S. Paul note: It is curious how this hearing will take place with such proximity to the Presidential elections. This can not be a coincidence; can it? The Supreme Court agreed on Monday to decide the fate of President Barack Obama's healthcare law, with an election-year ruling due by July on the U.S. healthcare system's biggest overhaul in nearly 50 years. 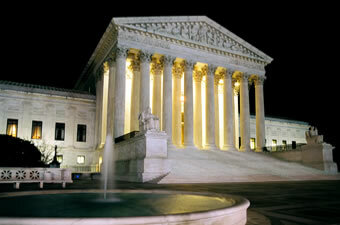 A Supreme Court spokeswoman said oral arguments would take place in March. There will be a total of 5-1/2 hours of argument. The court would be expected to rule during its current session, which lasts through June. The decision had been widely expected since September, when the Obama administration asked the country's highest court to uphold the centerpiece insurance provision and 26 of the 50 states separately asked that the entire law be struck down. At the heart of the legal battle is whether the U.S. Congress overstepped its powers by requiring all Americans to buy health insurance by 2014 or pay a penalty, a provision known as the individual mandate. The law, aiming to provide medical coverage to more than 30 million uninsured Americans, has wide ramifications for company costs and for the health sector, affecting health insurers, drugmakers, device companies and hospitals. A decision by July would take the healthcare issue to the heart of a presidential election campaign that ends with a vote on November 6 next year. Polls show Americans deeply divided over the overhaul, Obama's signature domestic achievement. A ruling striking down the law, while Obama seeks another four-year term, would be a huge blow for him legally and politically. A ruling upholding the law would vindicate Obama legally, but might make healthcare an even bigger political issue for the leading Republican presidential candidates, all of whom oppose it. Norman Ornstein of the American Enterprise Institute, a Washington think tank, said the ruling would have a polarizing effect on the Republican and Democratic faithful but a minimal impact on Obama's standing with middle-of-the-road voters who often decide elections. "My guess is that for voters in the middle if the Supreme Court says the law is constitutional that probably makes them a little bit happier with Obama. If they say it's unconstitutional that may make them a little less happy," he said. The high court could leave in place the entire law, it could strike down the individual insurance mandate or other provisions, it could invalidate the entire law or it could put off a ruling on the mandate until after it has taken effect. Also on Monday the administration, in the latest in a string of executive moves to sidestep a divided Congress, announced up to $1 billion for a program to support healthcare innovation to cut costs and improve care. White House Communications Director Dan Pfeiffer said the administration was pleased the Supreme Court agreed to hear the case. "We know the Affordable Care Act is constitutional and are confident the Supreme Court will agree," he said. Those challenging the law also voiced optimism. Karen Harned of the National Federation of Independent Business said: "We are confident in the strength of our case and hopeful that we will ultimately prevail. Our nation's job-creators depend on a decision being reached before the harmful effects of this new law become irreversible." Florida Attorney General Pam Bondi, whose state is leading the challenge to the law, said: "We are hopeful that by June 2012 we will have a decision that protects Americans' and individuals' liberties and limits the federal government's power." BernsteinResearch, which provides investment analysis, predicted the most likely outcomes were the law being upheld or a decision being delayed until 2015. Paul Heldman, senior analyst at Potomac Research Group, which provides Washington policy research for the investment community, said he still leaned toward the view that the law's requirement that individuals buy insurance will be upheld. "We continue to have a high level of conviction that the Supreme Court will leave much of the health reform law standing, even if finds unconstitutional the requirement that individuals buy coverage," he wrote in a recent note. After Obama signed the law in March 2010 following a bruising political fight in Congress, the legal battle began, with challenges by more than half of the states and others. The Supreme Court has long been expected to have final say on the law's constitutionality. The administration has said other landmark laws, such as the Social Security Act, the Civil Rights Act and the Voting Rights Act, faced similar legal challenges that all failed. For a fully functional new system by 2014, Health and Human Services Secretary Kathleen Sebelius said, "It's important that we put to rest once and for all the issue that maybe the law will disappear, maybe the law will be struck down." The states also are challenging the expansion of Medicaid, a federal-state partnership that provides healthcare to poor Americans, on the grounds Congress unconstitutionally forced the expansion on the states by threatening to withhold funds. The dispute reached the Supreme Court after conflicting rulings by U.S. appeals courts. Appeals courts in Cincinnati and Washington, D.C., upheld the individual mandate. An appeals court in Atlanta struck it down, but refused to invalidate the rest of the law. An appeals court in Virginia ruled the mandate could not be decided until 2015, when the penalties for not having insurance are imposed. The Supreme Court cases are National Federation of Independent Business v. Sebelius, No. 11-393; U.S. Department of Health and Human Services v. Florida, No. 11-398; and Florida v. Department of Health and Human Services, No. 11-400.